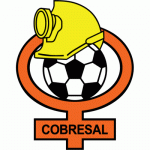 Second Half ends, Cobresal 1, Universidad de Concepción 0. 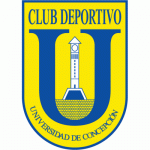 Match ends, Cobresal 1, Universidad de Concepción 0. Hand ball by David Müller (Cobresal). Foul by Stefan Pino (Universidad de Concepción). Carlos Escobar (Cobresal) wins a free kick in the defensive half. Corner, Universidad de Concepción. Conceded by Marcelo Jorquera. David Müller (Cobresal) wins a free kick in the defensive half. Attempt missed. Carlos Muñoz (Cobresal) header from the centre of the box misses to the left. Assisted by Juan Contreras with a cross. José Huentelaf (Universidad de Concepción) is shown the yellow card for a bad foul. Delay in match José Huentelaf (Universidad de Concepción) because of an injury. Delay in match David Müller (Cobresal) because of an injury. Foul by José Huentelaf (Universidad de Concepción). Corner, Universidad de Concepción. Conceded by Rodolfo González. Hugo Droguett (Universidad de Concepción) wins a free kick in the defensive half. Foul by Rodrigo Cabrera (Cobresal). Attempt blocked. Stefan Pino (Universidad de Concepción) left footed shot from outside the box is blocked. Assisted by Hugo Droguett with a cross. Sebastián López (Cobresal) wins a free kick in the defensive half. 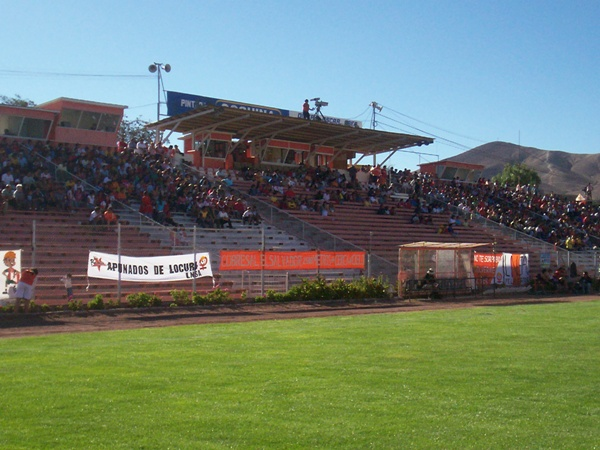 Corner, Cobresal. Conceded by Gustavo Mencia. Attempt saved. Patricio Rubio (Universidad de Concepción) right footed shot from outside the box is saved in the bottom right corner. Substitution, Universidad de Concepción. Stefan Pino replaces Alejandro Camargo. Josepmir Ballón (Universidad de Concepción) wins a free kick in the attacking half. Foul by Israel Poblete (Cobresal). Hand ball by Carlos Muñoz (Cobresal). Attempt missed. Josepmir Ballón (Universidad de Concepción) right footed shot from more than 35 yards is too high. Assisted by Fernando Cordero. Offside, Cobresal. Carlos Muñoz tries a through ball, but Felipe Reynero is caught offside. Offside, Cobresal. David Müller tries a through ball, but Carlos Muñoz is caught offside. Substitution, Universidad de Concepción. Fernando Cordero replaces Nicolás Maturana. Goal! Cobresal 1, Universidad de Concepción 0. Israel Poblete (Cobresal) right footed shot from outside the box to the top left corner. Assisted by Marcelo Jorquera. Rodrigo Cabrera (Cobresal) wins a free kick in the defensive half. Foul by Patricio Rubio (Universidad de Concepción). Substitution, Cobresal. Carlos Escobar replaces Marcos Figueroa. Substitution, Cobresal. David Müller replaces Juan Gutierrez. Substitution, Cobresal. Felipe Reynero replaces Sebastián Céspedes. Carlos Muñoz (Cobresal) hits the left post with a right footed shot from outside the box. Assisted by Marcelo Jorquera. Attempt missed. Alejandro Camargo (Universidad de Concepción) right footed shot from more than 35 yards is too high. Assisted by Hugo Droguett. José Huentelaf (Universidad de Concepción) wins a free kick in the defensive half. Foul by Eduardo Farias (Cobresal). Attempt blocked. Juan Gutierrez (Cobresal) right footed shot from outside the box is blocked. Assisted by Israel Poblete. Substitution, Universidad de Concepción. José Huentelaf replaces Nicolás Orellana. Attempt missed. Patricio Rubio (Universidad de Concepción) header from the centre of the box is close, but misses to the right. Assisted by Hugo Droguett with a cross. Offside, Cobresal. Israel Poblete tries a through ball, but Carlos Muñoz is caught offside. Attempt missed. Marcos Figueroa (Cobresal) right footed shot from the centre of the box is too high. Assisted by Sebastián Céspedes. Attempt missed. Alejandro Camargo (Universidad de Concepción) right footed shot from outside the box is close, but misses to the left. Assisted by Nicolás Maturana. Carlos Muñoz (Cobresal) hits the right post with a header from the centre of the box. Assisted by Sebastián Céspedes with a cross. Hand ball by Patricio Rubio (Universidad de Concepción). Nicolás Orellana (Universidad de Concepción) hits the left post with a left footed shot from the left side of the box. Assisted by Nicolás Maturana. Attempt blocked. Marcos Figueroa (Cobresal) right footed shot from outside the box is blocked. Assisted by Eduardo Farias. Attempt missed. Carlos Muñoz (Cobresal) right footed shot from the centre of the box is close, but misses to the right. Assisted by Sebastián Céspedes with a cross. Attempt saved. Hugo Droguett (Universidad de Concepción) left footed shot from outside the box is saved in the top centre of the goal. Attempt missed. Hugo Droguett (Universidad de Concepción) left footed shot from outside the box is close, but misses to the left. Assisted by Nicolás Maturana. Second Half begins Cobresal 0, Universidad de Concepción 0. First Half ends, Cobresal 0, Universidad de Concepción 0. Attempt blocked. Nicolás Maturana (Universidad de Concepción) left footed shot from outside the box is blocked. Assisted by Josepmir Ballón. Victor Retamal (Universidad de Concepción) wins a free kick in the defensive half. Foul by Marcos Figueroa (Cobresal). Attempt missed. Hugo Droguett (Universidad de Concepción) left footed shot from outside the box is too high. Assisted by Alejandro Camargo. Offside, Cobresal. Juan Gutierrez tries a through ball, but Israel Poblete is caught offside. Nicolás Orellana (Universidad de Concepción) hits the left post with a left footed shot from the left side of the box. Assisted by Patricio Rubio. Attempt missed. Alejandro Camargo (Universidad de Concepción) right footed shot from more than 35 yards is close, but misses to the left. Assisted by Josepmir Ballón. Attempt saved. Marcelo Jorquera (Cobresal) right footed shot from the right side of the box is saved in the bottom right corner. Assisted by Eduardo Farias with a headed pass. Juan Gutierrez (Cobresal) wins a free kick on the right wing. Penalty saved! Hugo Droguett (Universidad de Concepción) fails to capitalise on this great opportunity, left footed shot saved in the bottom right corner. Penalty conceded by Rodrigo Cabrera (Cobresal) with a hand ball in the penalty area. Hugo Droguett (Universidad de Concepción) wins a free kick in the attacking half. Corner, Universidad de Concepción. Conceded by Juan Contreras. Corner, Universidad de Concepción. Conceded by Sebastián López. Attempt saved. Patricio Rubio (Universidad de Concepción) right footed shot from outside the box is saved in the top right corner. Assisted by Victor Retamal. Attempt saved. Carlos Muñoz (Cobresal) right footed shot from outside the box is saved in the bottom right corner. Attempt blocked. Patricio Rubio (Universidad de Concepción) left footed shot from the centre of the box is blocked. Assisted by Hugo Droguett with a cross. Corner, Universidad de Concepción. Conceded by Sebastián Céspedes. Nicolás Orellana (Universidad de Concepción) wins a free kick in the defensive half. Attempt blocked. Israel Poblete (Cobresal) right footed shot from more than 35 yards is blocked. Assisted by Juan Gutierrez. Attempt missed. Nicolás Orellana (Universidad de Concepción) left footed shot from long range on the left is high and wide to the left. Assisted by Hugo Droguett with a headed pass. Attempt blocked. Juan Gutierrez (Cobresal) right footed shot from outside the box is blocked. Assisted by Marcelo Jorquera. Corner, Universidad de Concepción. Conceded by Marcos Figueroa. Attempt missed. Juan Gutierrez (Cobresal) right footed shot from outside the box is high and wide to the left. Assisted by Marcos Figueroa. Juan Gutierrez (Cobresal) wins a free kick in the defensive half. Foul by Alejandro Camargo (Universidad de Concepción). Attempt blocked. Marcos Figueroa (Cobresal) right footed shot from the left side of the box is blocked. Assisted by Carlos Muñoz. Offside, Universidad de Concepción. Nicolás Orellana tries a through ball, but Patricio Rubio is caught offside. Nicolás Orellana (Universidad de Concepción) wins a free kick in the attacking half. Attempt saved. Marcos Figueroa (Cobresal) header from the centre of the box is saved in the centre of the goal. Assisted by Sebastián Céspedes with a cross. Attempt missed. Alejandro Camargo (Universidad de Concepción) right footed shot from outside the box is close, but misses to the left. Attempt missed. Marcos Figueroa (Cobresal) right footed shot from long range on the left is close, but misses to the left. Assisted by Carlos Muñoz.